Four years after release, Grand Theft Auto V is still a massive hit that continues to appear on best-selling charts month after month. During that time, GTA Online, the multiplayer component, has gone on to overshadow the main game—to the dismay of some fans. More overtly, GTA Online’s updates have transformed the down-to-earth open-world game into something wild. One of the most recent GTA Online updates added large underground bunkers and a mission where players can steal an alien egg from a crashed spaceship. Compare this to early GTA Online content, like the Beach Bum update—which added a few vehicles, some clothes, two new weapons, a small pistol and a broken bottle, of all things. The next few updates after Beach Bum didn’t have free items, but they still kept the game alive in smaller ways. The Valentine’s Day Massacre Update, which included old-school clothes and weapons, was the first holiday-themed update for GTA Online. Since then, GTA Online has continued to celebrate dates of interest. The third addition for GTA Online, the Business Update, mostly added some fancy cars and two new guns. Serviceable additions that gave players reasons to boot up the game, yes, but the early years of GTA Online weren’t exciting as they are now. For many fans, Rockstar was known as a studio that took its time making great games that players could enjoy for years. Most DLC that Rockstar developed was meaty single-player additions, and players were happy to pay real money for all of it. Since then, the narrative has warped: many players who frequent online forums feel that Rockstar has become “greedy,” and it’s largely due to how they’ve handled GTA Online updates. At first, big content additions cost no in-game money, and new cars were relatively cheap. For example, the most expensive car added in the 2014 Business Update was a super car named the Turismo R, which costs $500k. Compare that to the most expensive car added in the last update, the Visione, which costs $2.25 million. Even lackluster cars are more expensive now. The Retinue, an old 70s era sedan added in Smuggler’s Run, costs $615k. Clothes have also become more expensive. I first noticed this around the Valentine’s Day Massacre Update, which added clothes that cost $5,000. I was shocked, because clothes typically cost $100 to $1000 in the base game, but I rationalized it because I knew that in real life, fancy suits are indeed expensive. Fast forward a few years, and things are pretty different now. Weapon prices haven’t suffered nearly as much. Still, there are exceptions. The Bikers update, for instance, added a large wrench that costs $7,150—which is more expensive than basic pistols or submachine guns. Rockstar’s decision to make things more expensive also aligns with the 2015 inclusion of heists, which pay out $150,000 to a $1,250,000 depending on the mission. While heists pay well, they require a group of players and hours to finish, and are only available for players who have already bought one of the expensive apartments in the game. Without friends to coordinate with, you have to rely on random players to help finish these heists, which isn’t ideal. Regardless, the price increases are at the root of why players online often express anger at Rockstar. The conspiracy theory is that Rockstar Games no longer makes GTA single player DLC because of all the money they make on Shark Cards microtransactions, which give players in-game cash instantly. The belief is that, by designing a grindy game, players will circumvent the hassle by spending real money. Hence the ever-increasing in-game prices. While everything in GTA Online can be purchased by playing the game, newer players or players with limited time might might feel “Shark Cards” are mandatory to keep up. New copies of the game are often sold in bundles with Shark Cards, too. In my experience, you can spend dozens of hours doing missions without being able to afford newer toys, like supercars or jets. Recently, the game seems to be mitigating some of this frustration. In the latest updates for GTA Online, new missions usually include the new vehicles and weapons, so players can have fun with the new toys without buying them. 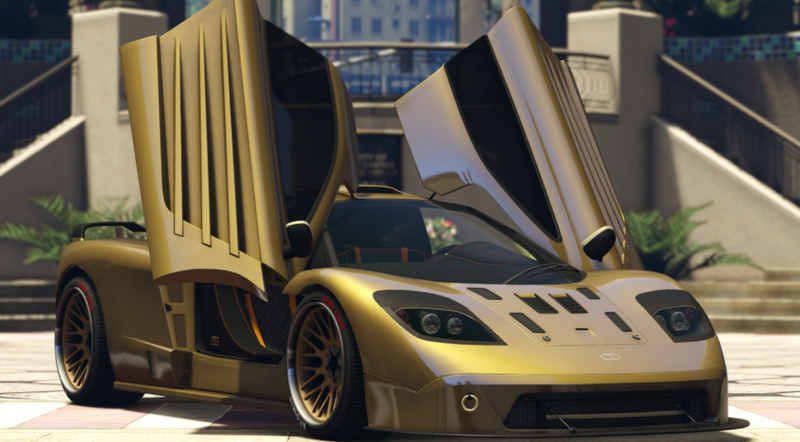 GTA Online also gives discounts for higher-end goodies for players who finish enough missions. While it’s easy why players believe Rockstar is trying to squeeze money from fans, the last update allows players to have fun without grinding. Plus, by making the updates free, Rockstar hasn’t fragmented the community with years of paid DLC that only some would buy. One of the most controversial changes to GTA Online happened in July 2015, when Rockstar stopped adding new content for players on Xbox 360 and PS3. At the time, the decision to leave the last generation behind was met with some backlash from fans who still hadn’t moved on to new systems. 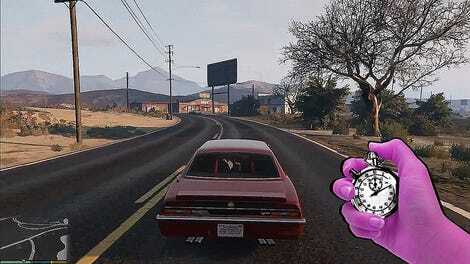 Rockstar still maintains the original versions of the game, though cheaters and modders have still been able to turn them into playgrounds of broken lobbies and glitchy hijinks. Earlier this year, Rockstar finally broke the last bit of connective tissue by removing the ability to transfer characters from the older consoles to the newer consoles. While this also garnered some negativity, leaving the last generation behind has allowed Rockstar to go wild with the newest updates. GTA Online in 2017 is practically unrecognizable compared to how the game shipped. Yes, there have been small changes that help streamline the experience, but mostly, I’m impressed with the zanier additions. Cars have rockets, parachutes, and can jump now. Motorcycles fly, and players can even drive the flip car from Fast & Furious 6. New modes involve large floating race tracks and explosions. And additional adversary modes allows players to enjoy large-scale darts with flying cars. GTA Online feels more fun and over-the-top than it used to. None of these new toys or modes are available on the older generation of consoles. Despite some of the stigma surrounding new GTA Online updates and their in-game prices, I’m having more fun than ever before. There’s just so much to do now: I now own a weed farm, an underground bunker, airport hanger, and a bulletproof muscle car. There are also plenty of cool modes to enjoy, like the one that turns players into a werewolf, or the one that recreates the famous lightcycle scene from Tron. Four years ago, I probably would have been skeptical that I’d still be playing this game today. I couldn’t have imagined some of the things Rockstar has added to the game. GTA Online’s biggest strength is that Rockstar keeps it feeling fresh after all this time. Yes, prices are very high right now, and fans still playing on older consoles have been left behind, but but I’m excited to see what’s next for GTA Online. How much longer can this game stay popular? How much more will it change? Will I still recognize it a year or two from now?